Mattie Schrock is excited to be heading west with her family, even more so because Jacob Yoder will be joining them and he has always held a special place in her heart. But they have both changed a lot in the years since they've seen each other. 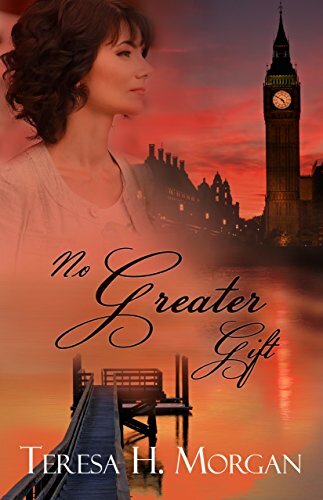 Will what they share be enough to satisfy her for the rest of her life when she yearns to see more of the world? "Mattie's Pledge" by Jan Drexler is the 2nd book in the 'Journey to Pleasant Prairie" series. I did not read the first book in the series, but did not feel completely lost about what was happening. Since the 1st book is about Hannah Yoder, and she and her family members feature in this book, it would probably been nice to have read it first, though. Mainly told from the viewpoints of Mattie Schrock and Jacob Yoder, there are also parts told from the viewpoints of Johanna Hertzler, Andrew Bontrager, and Cole Bates, with a short section from both Annalise Yoder and Christian Yoder. Besides the main story line following Mattie and what she was going to choose to do, there was also secondary threads that follow the other characters as well. I did not find the story to be cluttered with all that was going on, though, and enjoyed watching the characters interacting. The Biblical thread is also woven seamlessly into the story and it was nice to see characters grow although Jacob's aloofness towards the children didn't seem totally wrapped up as well as some of the other issues. I am glad to see that Naomi's story is next and can't wait to read it. I was given a free copy of this book by the publisher in exchange for my honest review. No other compensation was received and all thoughts and opinions are my own. "A Lady Unrivaled" is the third and final book in the "Ladies of the Manor" series. I had read the second one, but not the first one. I felt like I was missing parts of the story this time around not having read the first book. I didn't feel that way so much while I read the second book. I definitely will go back and read the first book to fill in the gaps! 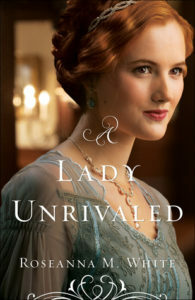 I really liked "A Lady Unrivaled" and kept picturing it as a mini series. Ella is so cheerful and fun and such the perfect person for Cayton who is not so cheerful. Their dialogue was fun and so well written, it felt like I was eavesdropping on someone's conversation. Addie was adorable and her interactions with both Ella and Cayton were great. I found myself wanting to read faster so I could know what was going to happen, but not wanting to miss any of the details. The characters grew and came to know God better and to trust His leading. This book has romance, mystery, and more. I highly recommend the series. I was delighted and relieved when my critters, as I call them, loved her—it felt a little like them loving me. With Stephanie, that BFF/critique partner, Ella became part of our language. “That’s so Ella” meant “that’s so hopefully and optimistic.” It’s a phrase we used for years, long after that series got shelved and we focused on other projects. I received a free copy of this book to participate in the Celebrate Lit blog tour and give my honest opinion. All thoughts and opinions are my own and no other compensation was received. Bailey Calderwood does everything she can to assist Mona Belafonte, even move into Mona's home to care for her after she has a stroke. For some reason, Mona decides she needs a new assistant and asks her son Stephen to find a replacement for her. The more time he spends with Bailey, however, the more he wants to spend time with her. How can he mend the rift without upsetting either woman? 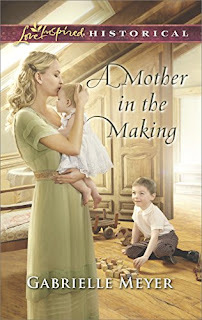 "A Mother in the Making" has an adorable cover that drew me in and made me want to read it. I know they say not to judge a book by its cover, but it helps when the cover draws your attention! 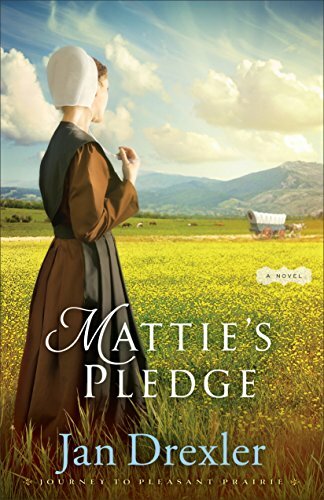 At first, this book had me thinking a little bit of Sound of Music with the widower and the governess and later on a little bit of Emma as Marjorie tried to find John a wife. Mostly, it was its own story. I loved Marjorie's enthusiasm and her love for the children. I found myself getting frustrated at John for fighting his attraction to Marjorie! But there wouldn't be much of a story if she walks in and he instantly falls in love with her and wants to get married! I liked the children in the story and watching Petey as he warmed up to Marjorie. I look forward to reading more of Gabrielle Meyer's stories. I was given a free copy of this book by the author in exchange for my honest review. All thoughts and opinions are my own and no other compensation was received. History professor Grace Ryan returns to her hometown to help her grandmother turn her journals into a book while her neighbor, Erik Petersson, sorts through Grace's grandfather's records and notes to write a book about his work in the Manhattan Project. When Grace arrives, her grandmother is being loaded into an ambulance. Her last words were of a crime, treason, and finding the truth. Together, Grace and Erik wade through the information as evidence seems to pile up that will tear Grace's already fragile relationship with her family apart. When someone turns to violence to stop Grace's search, will Erik and Grace find the truth before it is too late? This book touched on several tough subjects like abuse, unjust accusations, infidelity, and divorce. They were dealt with in a way that was not graphic or jarring, but in a gentle manner. I liked Grace and Erik and grew frustrated when they were accused of things that they did not do and their side of the story was not listened to or believed. I liked their reliance on God, but also the honesty that it isn't always easy to do that. I did guess what had happened to Katrina fairly early on, but it played out slightly differently than I expected and made me second guess what I'd thought. I liked the quotes from Churchill and the entries from Annie's journals. I enjoyed reading this book and look forward to other books written by Teresa Morgan. "Kiss the Bride" is a collection of 3 novellas previously released as part of the "Year of Wedding" novella series. I had already read the 2nd novella, but not the other two. "Picture Perfect Love" by Melissa McClone: Jenna Harrison takes the perfect pictures for weddings while nursing a broken heart from her own failed wedding. 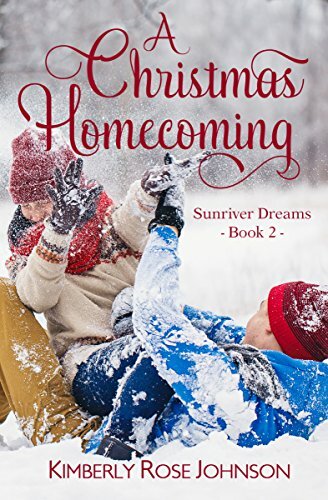 When her former fiance, Ashton Vance, suddenly shows up after two years, why is it so hard to keep her heart from falling all over again? Will she be willing for a 2nd chance at a picture perfect love? I liked Jenna and Ashton and felt frustrated for the manipulation that Judge Vance orchestrated. I liked seeing the growth in the characters. It felt like some of the characters' turn arounds/apologies were a little rushed but with it being a novella, there wasn't a lot of time to fit in a more thought out apology. Having the main characters have a past together always makes it easier to believe a romance can blossom in a short of a time that a novella allows. I enjoyed reading this story. "I Hope You Dance" by Robin Lee Hatcher: Skye Foster is a hopeless romantic and dreams of a cowboy sweeping her off her feet and riding off into the sunset to get married and have a large family. She just hasn't met the cowboy yet. When Grant Nichols comes in for private dance lessons in preparation of a wedding he's a groomsman for, they have an instant attraction for each other. The only problem, Grant is from a large family and doesn't want any kids of his own. This is a really quick read. If you have read other books in the Kings Meadow series of books, you will notice some familiar people. (I'm sure that also helps with backstory for them as well) I liked Skye and Grant and watching their interactions. The romance moves along really quickly, but as this is a novella, you kind of expect that. The characters themselves even are concerned about how fast it is moving. "Love on a Deadline" by Kathryn Springer: Mackenzie Davis is back home in Red Leaf temporarily after her father has a heart attack. What she wants is a big break at the newspaper so she can land her dream job at the big city newspaper. Her boss thinks he has the perfect story for her...the wedding of her high school nemesis, Hollis Channing. 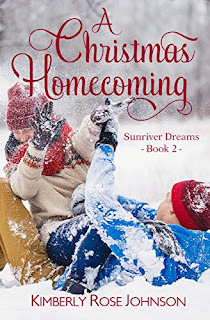 Mac could think of only one other person she'd rather not see again, Ethan Channing, her high school crush. I enjoyed Mac and Ethan find their place and what they really needed in life. 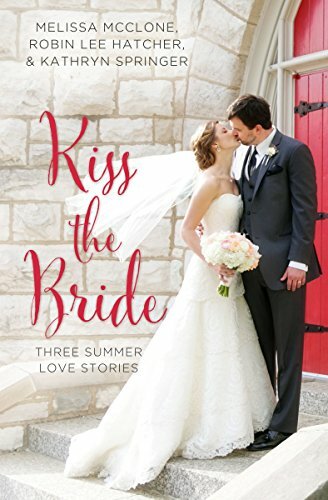 I was pleasantly surprised to recognize characters from a book I had reviewed two years ago ("A September Bride" from the first 'Year of Weddings' novella series). It doesn't matter if you didn't read it, though, for your enjoyment of this story. This was a cute, quick story. Again, it helps that the characters had a past together for the pace of the romance. I received a free copy of this book from booklookbloggers in exchange for my honest review. All thoughts and opinions are my own and no other compensation was received.